Even a single missing tooth can cause big problems for a person’s oral health and appearance if left untreated, and those issues only compound as more teeth are lost. If you’re tired of dealing with gaps in your smile, the team at Andover Family Dental can help you close them with beautiful, strong, and custom-made restorations. From traditional bridges and dentures to state-of-the-art dental implants, we have everything you need to reclaim your full smile. To learn more about your options, give us a call today. Why Choose Andover Family Dentistry for Tooth Replacement? Unlike other parts of the body, issues with the teeth only tend to get worse over time. 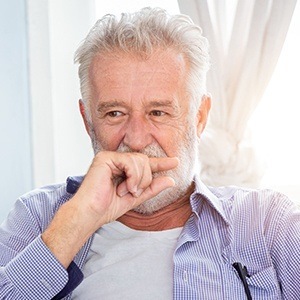 When it comes to missing teeth, they can throw off the balance of the bite, lead to excess enamel wear, and even cause soreness in the jaw. Patients are also more likely to develop gum disease, which in itself is the leading cause of adult tooth loss in the US! And, this is on top of all the aesthetic concerns missing teeth bring. Fortunately, these problems can be completely reversed and prevented simply by replacing your teeth, which is exactly what we can help you do. For patients missing a single tooth or even a few in a row, a dental bridge is a long-trusted method of replacement. The prosthetic itself is anchored to two crowns placed on either side of the gap in a patient’s smile, making it literally “bridge” the space. With one, we can restore a patient’s bite, prevent the remaining teeth from shifting out of place, and help them achieve their natural appearance at the same time. 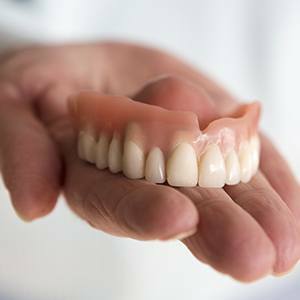 Dentures in one form or another have helped patients with numerous missing teeth for generations, but now, modern-day dentures are more comfortable, durable, and natural-looking than ever. 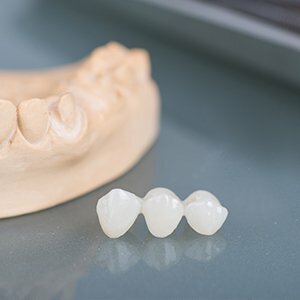 With partial dentures, we can replace multiple missing teeth along a single row like a piece of a puzzle, and with full dentures, we can bring back an entire arch all at once. A patient can even choose to get a traditional removable denture or an implant-retained prosthetic to enjoy the most secure fit possible. 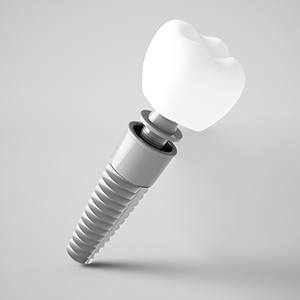 When it comes to replacing any number of missing teeth, nothing does it better than dental implants. This treatment actually restores both the root and crown of a tooth, creating a result that is the next best thing to nature. Implants look great, provide optimal function, and can be trusted to last for the rest of a patient’s life in most cases. Even better, we’re one of the few offices that can perform the entire procedure in one location, helping patient’s rebuild their smiles in record time.